Female genital plastic surgery has become an increasingly sought-after option for women seeking improvement in genital appearance, relief from discomfort, and increased sexual pleasure. These surgeries are a combination of gynecologic, plastic, and cosmetic procedures. Every year sees a higher demand for physicians properly trained and able to perform them. Examining the issues from individual patients perspectives, it is written in an academic but easy-to-read style with understandable and unambiguous drawings and photographs. 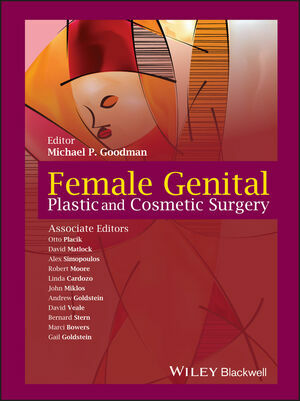 It contains a step-by-step surgical approach, how to best select the right surgical candidates, how to treat this select group of patients, the sexual issues involved, how to individualize techniques for each specific patient, how to deal with criticism from colleagues or journalists, psychosexual issues, and patient protection.